AALNC : Blogs : 2019 Nominations Now Open! AALNC's Board of Directors establishes a strategic plan to achieve the mission and goals of the organization. In order to accomplish this, the Board sets policies, directs current and future activities, and manages the organization's elected officers, directors, volunteers, JLNC Editor, Director of Programs and Education, and Headquarters staff. The Board of Directors has direct fiduciary responsibility and is responsible to the membership. 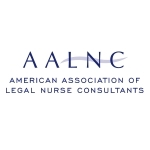 AALNC is currently seeking a candidate to serve as a Director-at-Large and a candidate to serve as Treasurer/Secretary. In addition to the general board duties, there are position-specific duties. AALNC acknowledges that much time is asked of its volunteers. The volunteer team is AALNC's most vital resource, and the organization depends heavily on all volunteers to manage the organization. As a board member, please also anticipate approximately 8-12 hours a week in organizational business. This includes general business (emails, conference calls, reviewing financials and other documents, etc.) as well as various projects (i.e. serving as board liaison to the committees). Presenting a single slate of officers to serve terms beginning at the Annual Business Meeting of the following year. Presenting a single slate of directors to serve terms beginning at the Annual Business Meeting of the following year. The director positions for which the Committee will present a “slate” will be those with terms which terminate at the Annual Business Meeting. Presenting a single slate of Leadership Succession Committee members to serve terms beginning at the Annual Business Meeting of the following year. Recommending policies or best practices to the Board of Directors which are related to the nominations process. Identifying potential members to fill the open positions for that year. Calling potential candidates to see if they are interested in serving on the board and/or LSC. Answering candidate questions about the application process. Participating in monthly conference calls. Conducting phone interviews with potential candidates and writing a brief summary of the call. Reviewing and commenting on candidate applications. Evaluating candidates for proper fit on the board and/or LSC. The Leadership Succession Committee shall complete its work so that its recommended slate of officers and directors can be published 60 days in advance of the Annual Business Meeting. Members will be given 30 days to ratify the recommended slate of directors and Leadership Succession Committee members. Work for this committee will begin in early summer (June/July) and conclude by December. This term is for two years. All applicants must be current members of AALNC. The deadline to submit an application for the 2019-2020 Board of Directors and/or Leadership Succession Committee is October 12, 2018. If you have any questions contact us at info@aalnc.org or (877) 402-2562.